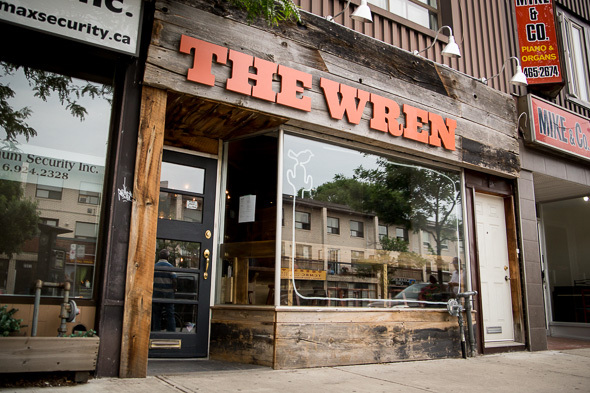 The Wren, a new saloon-style pub on Danforth , opened last month, serving up southwestern style food and craft beers to eager locals. Occupying a quiet strip between Greenwood and Coxwell, it is something of a relief to see a new watering hole here, and hopefully (along with neighbours Sauce ), will spur a revival of the area. Former advertising executive Dennis Kimeda and his wife Rhonda designed and renovated the entire space themselves. Wooden floors, a wagon wheel chandelier above the bar, as well as salvaged barn-wood banquet tables and walls all make it feel like a little piece of the old west. Dominating one wall is part of a vintage Coca-Cola advertisement that was discovered underneath the drywall. A wren carved into the bar wood by Dennis himself looks proudly on as you ponder your beer choice of the 12 Canadian beers on tap, including Great Lakes Hissyfit Grisette ($7), Cameron's RPA ($7.50) and Flying Monkeys Stereovison ($6.50), as well as an extensive bottle list. Not in the mood for a pint? No problem. The Wren has a southwestern-style cocktail list, featuring drinks such as The Western Sour, with Forty Creek whiskey, herb-infused simple syrup, grapefruit juice and lime served in a brown sugar and lime zest rimmed glass. Beer cocktails are also on offer: the Lager-lada is made with muddled smoked peppers, tequila and lime, topped with Beau's lug tread and served in a crushed pepper and salt rimmed glass. All cocktails are just $8. The menu comprises a short list of Mexican and southern comfort food classics. We're told that everything is made in-house. 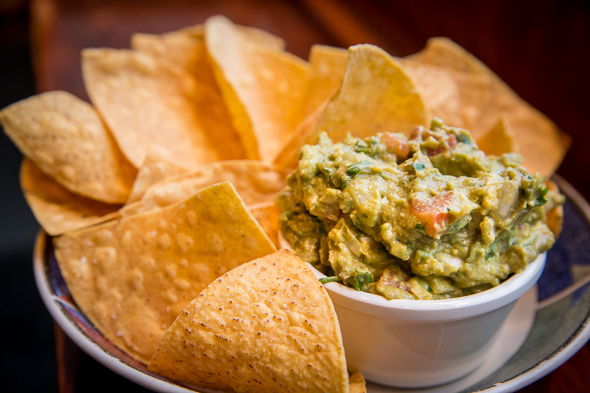 We start with the Guacamole and Chips ($7), which have a nice balance of creamy texture, with zesty and spicy flavours, accented with large chunks of fresh tomato and chopped egg that add depth and a hearty quality, making it more of a meal then a snack. Accompanied by a sharing size portion of house made tortilla chips (that I wish were seasoned), and this soon looks to be a pretty decent dish for seven bucks. 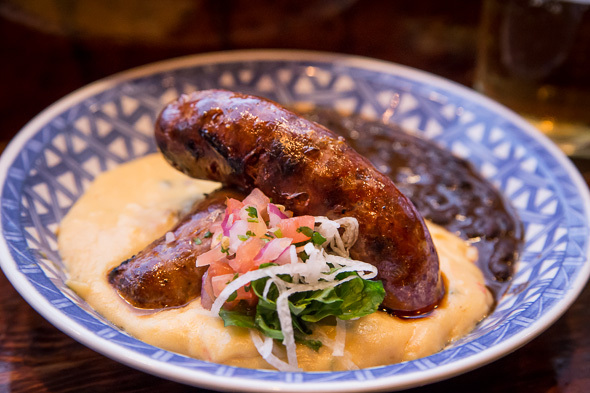 The Wren Sausages ($14) are made with house made chorizo and andouille sausages, served on a rich mound of cheddar and jalapeno polenta that is plated alongside a thick stew of spiced black beans. Whilst the sausages are moist and tender, the polenta is a great combination of sharp cheddar and spice, and the black beans contrast nicely with a salty clove and nutmeg quality. 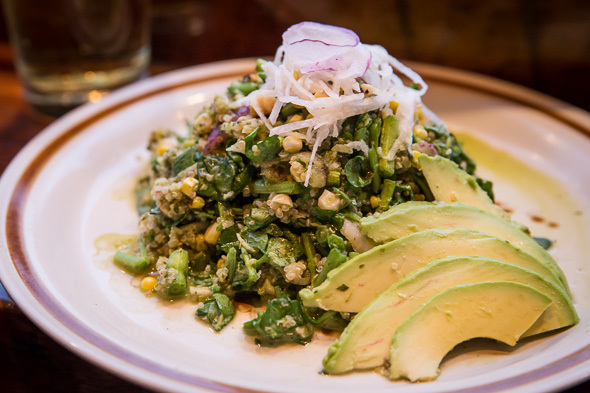 I plump for a lighter option with the quinoa chimichurri salad ($10) a massive portion of seasoned quinoa, roasted corn, and chopped watercress topped with shaved red onion and jicama, with a simple herb dressing. Though it is delicious, the salad is drowned in the dressing. A shame considering it's otherwise a fresh and tasty veggie option, especially in the heat of summer. 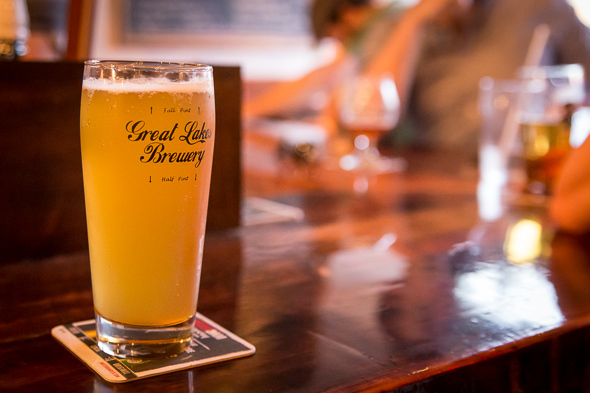 The Wren did what it set out to do: provide a great neighbourhood local with friendly attentive staff, good food, and great beer. Dennis stresses the 'local' aspect, and it seems he's picking up quite a few regulars already. 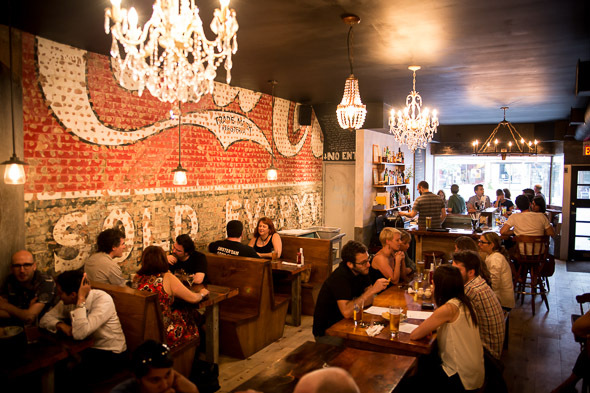 It's certainly a cozy spot, and definitely one of the best options in this neighbourhood.